So far maya has created 35 blog entries. My website is up and running again (as well as the social media connected to it). The break was longer than I had anticipated, but sometimes things in life do not go according to our plans. I would like to thank you for your patience. I have prepared several new blog posts and I hope that you will enjoy them. 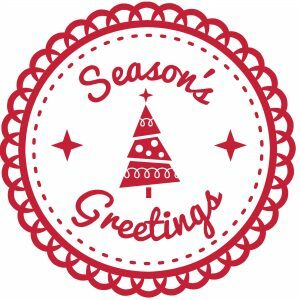 I would also like to use this opportunity to wish you a merry Christmas and a happy and prosperous New Year! 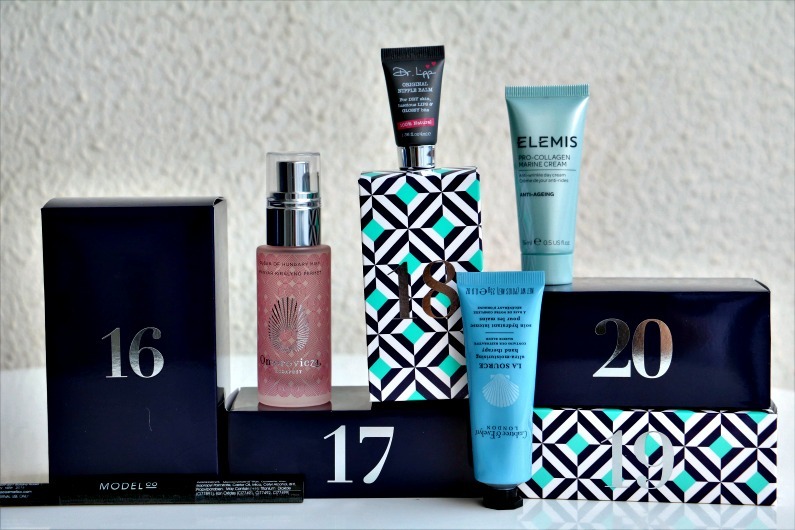 Beauty advent calendars are back for 2017 and there are many options from various brands. 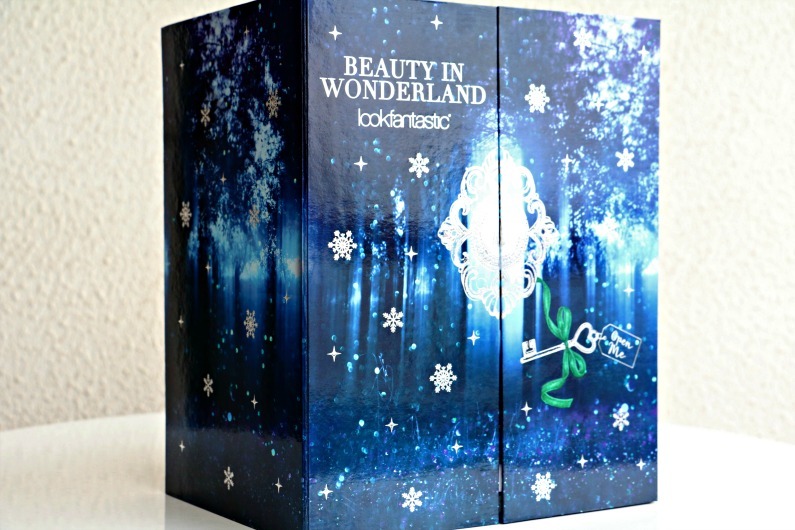 I have decided to treat myself with the one by Lookfantastic named “Beauty in Wonderland”. 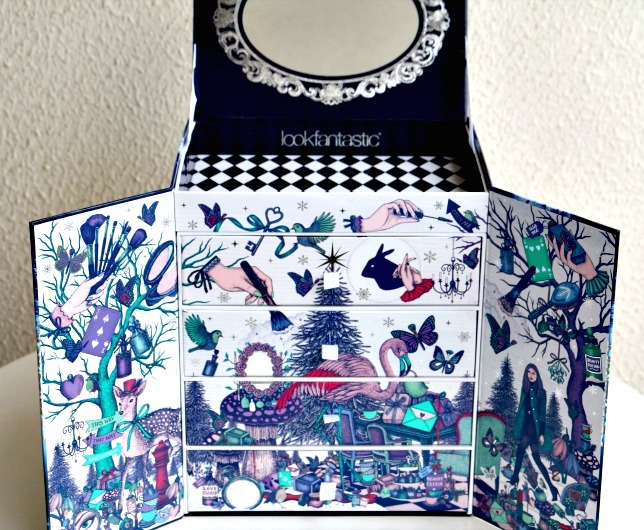 This advent calendar is thoughtfully designed with Lewis Carroll’s “Alice in Wonderland” inspired illustrations. 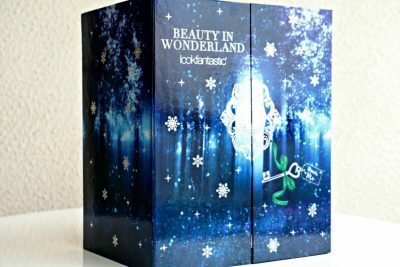 It is a cardboard chest of four drawers which are all filled with beauty treats that include 9 full-sized products and 16 deluxe samples. It also has an empty box on the top and a mirror, so you can actually use it to apply your make-up. The chest of drawers is so gorgeous and you will be able to reuse it as a jewellery or make-up box when the festive season is over. It retails for 79.00GBP (around 90,00EUR) and its contents are worth more than 300.00GBP (around 340,00EUR). Good Girl by Carolina Herrera was launched in September 2016 under the slogan: “It’s good to be bad”. It is a blend of dark elements (mysterious and deep notes of roasted tonka beans and cocoa) and light elements (floral notes of tuberose and jasmine sambac) which represent the duality of a woman’s character. In their own words, it is for the woman who loves her good side and celebrates her bad side. A bottle in the shape of a black stiletto is a bit kitschy, but it immediately grabs your attention. The fragrance is powerful, sensual and very feminine. It is warm and sweet and therefore, I would recommend it for cooler temperatures and evening wear. Apply it carefully, just a spritz or two as it is very strong and long lasting and it can be overwhelming. The fragrance comes in a bottle of 50ml and 80ml Eau de Parfum. The face of the perfume is Karlie Kloss and the nose behind it is Louise Turner. This cream is thicker than the normal moisturizer. It should be applied daily to face and neck and it can be used both morning and evening. 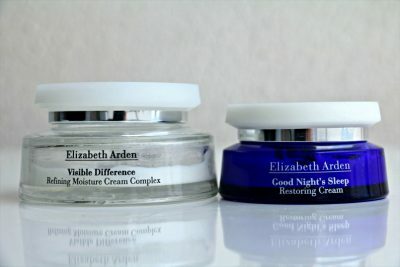 It is better for dry skin or if you have combination skin, like I do, you will be able to use it in winter time. It is definitely not for oily skin. 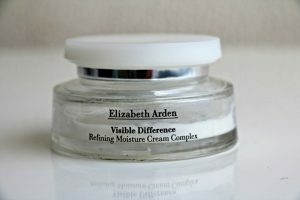 Although it is quite dense, it soaks up very quickly and you can easily do your make-up straight after putting it on. It does not contain SPF. My only gripe is that this cream has extremely strong smell which might put you off at first as it is very unpleasant. It took me a while to get used to it somehow. It comes in a glass jar of 100ml. 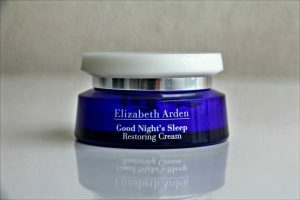 This cream is a winner (qualitywise and pricewise) and has become one of my most loved night creams. Its texture is rich, but it is not heavy when you apply it. It just glides and melts on my skin and it instantly feels soft and hydrated. It is perfect for winter time as I find it a bit too heavy for the warmest months. Although it is lavender scented (which some people, including me, might find unpleasant), its smell is not overpowering. 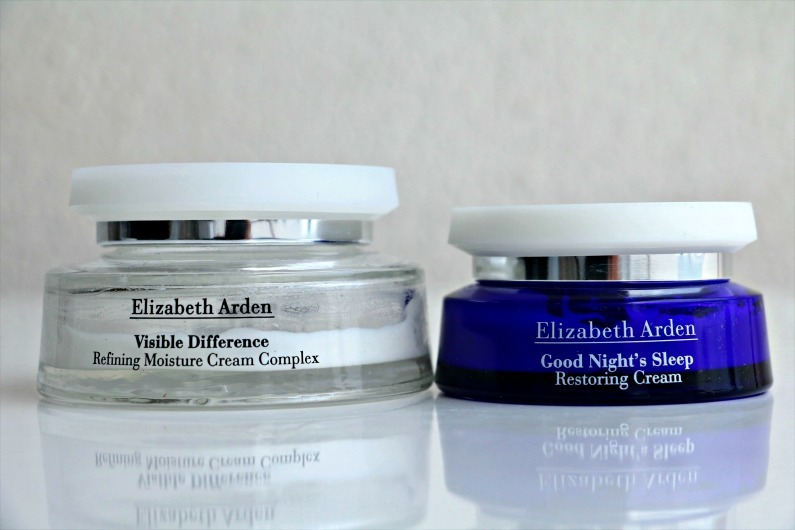 The cream comes in a blue glass jar of 50ml. P.S. It seems that this cream has been discontinued, but jars of it keep appearing at places like the airport duty free shops. 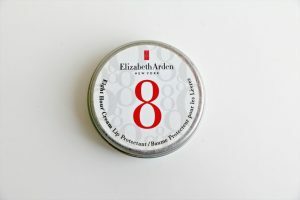 This balm is miraculous in relieving chapped and cracked lips as it restores them very fast. It helps moisturize, soften and smooth your lips. I apply it at night and wake up with the softest lips ever. I also use it as a lip conditioner in the first step of my make-up routine and it really makes the lipstick glide on more smoothly. This is by far the best lip balm I have ever tried. Vaseline intensive care spray moisturiser has become my favourite body moisturiser from the moment I tried it a few months ago. I tried all three of them which are available on this market and they are all equally good. The essential healing spray moisturiser is with pure oat extract to leave skin soft. The cocoa radiant one is with pure cocoa butter to bring out your skin’s natural glow and the aloe soothing moisturiser is with aloe which is known to soothe and calm dry, irritated skin. 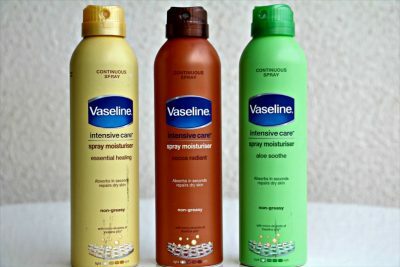 Although they are meant for dry skin, I think they can be used for all skin types as they absorb in seconds to moisturize your skin without being greasy or sticky. The continuous spray with fine mist is a wonderful way to apply the product evenly and thus you can reach areas which are otherwise hard to reach. The scent is mild and pleasant. The moisturiser comes in a tin bottle of 190ml and it costs about 5,00EUR. 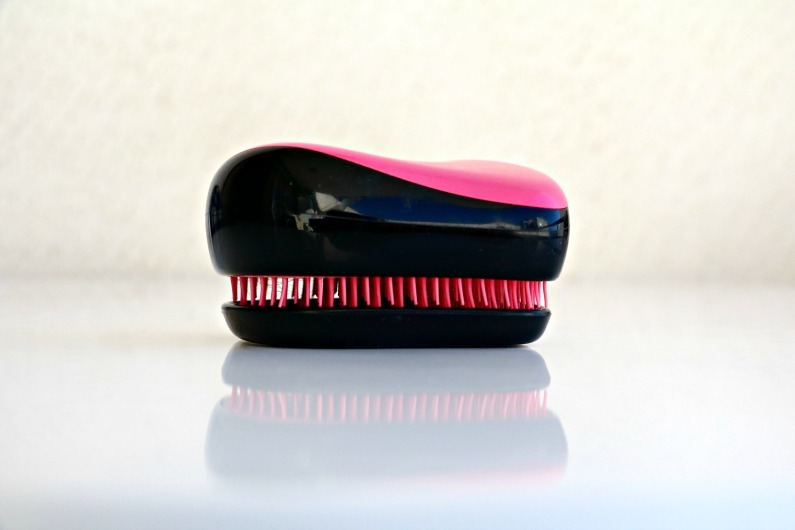 an on-the-go detangling hairbrush. 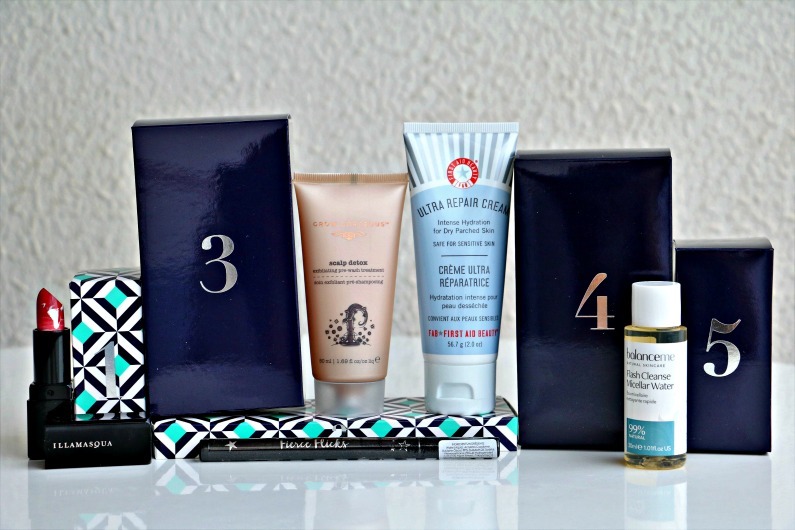 It is small and it can easily fit into your handbag, so you can use it anywhere. Thanks to its innovative two-tiered teeth system, it removes tangles effortlessly and painlessly. The long teeth detangle and the short teeth smooth. It works easily both on wet and dry hair and it is suitable for all hair types and textures. It does not cause any breakage or damage to your hair and the short plastic bristles feel amazing on the scalp – like a mini massage every time you use it. 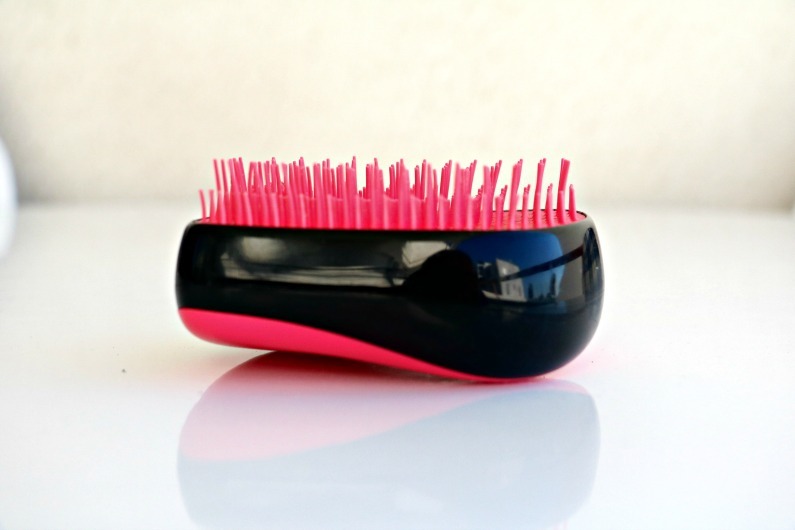 If you battle tangles, this is a little wonder tool! 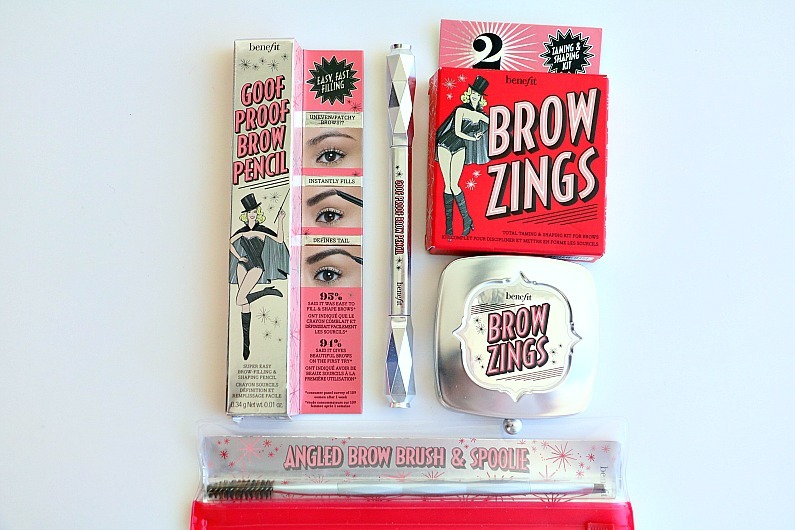 If you are looking for a new brow product, then look no further as Benefit brow line-up has everything you need. 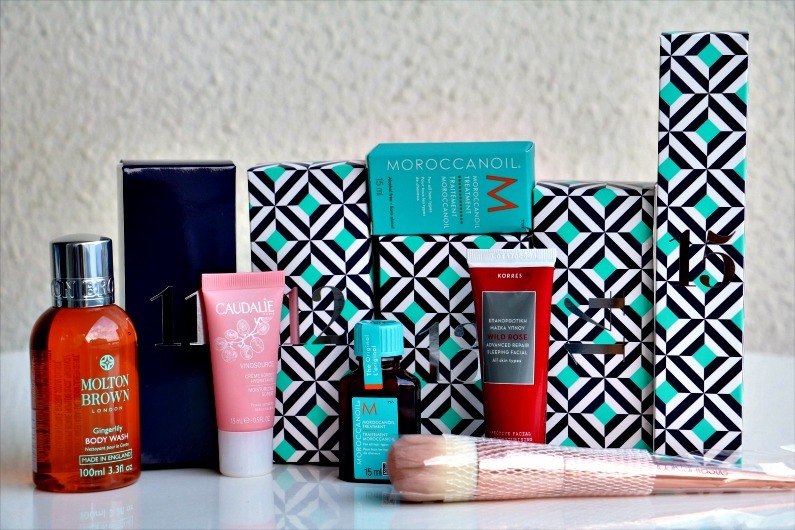 Whether you are into pencils, gels, powder, wax or pomades, there is something for everyone. Here are some of the products from their brow range which I have been using for a while. 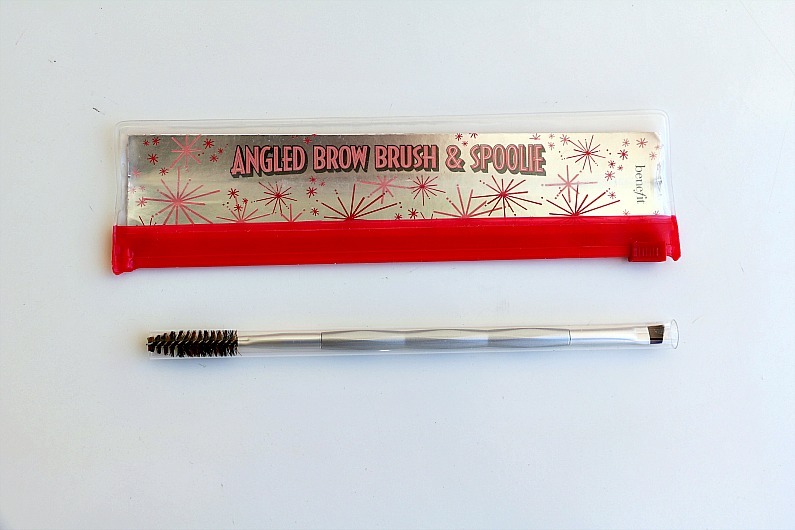 This brow pencil has a specially designed non-sharpen teardrop shaped tip on one side and spoolie brush on the other. The wider part of the tip fills in and shapes the larger area of the brows while the pointed tip defines the tail. The pencil is waxy, soft and waterproof lasting up to 12 hours. 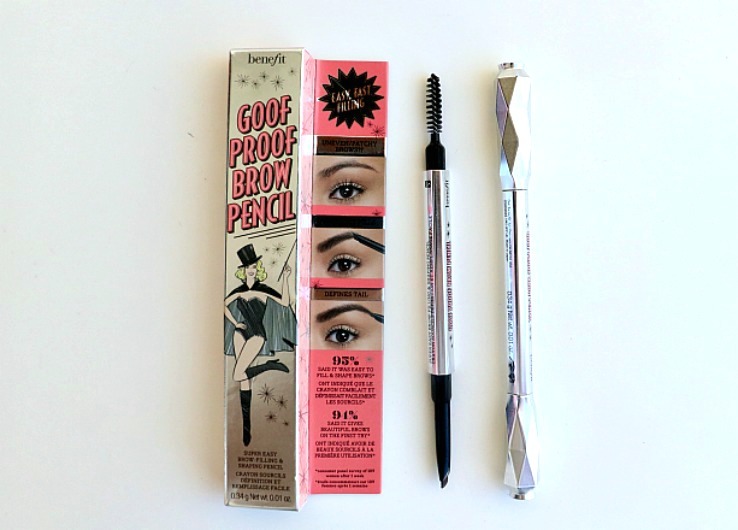 It is very precise and it makes your brows look very natural. The spoolie helps soften the look if necessary. It is available in six shades. This compact kit contains eyebrow powder, tinted wax, mini slant tweezers and a fold-up dual-sided applicator with an angled brush on one side and a blending brush on the other. How to use: Begin by plucking any stray hairs using the mini tweezers. Dip the angled brush into the wax and apply to brows. The wax serves as a base for the powder to stick on to. Use the blending brush to apply the setting brow powder. The powder is pigmented, smooth and easy to apply. This all-in-one kit is everything you need to sculpt, shape and fill brows, especially if you prefer natural softer brows. This dual-ended brush is specially designed to apply brow powders, gels, creams and wax and blend them seamlessly. The angled brush picks up the product nicely. 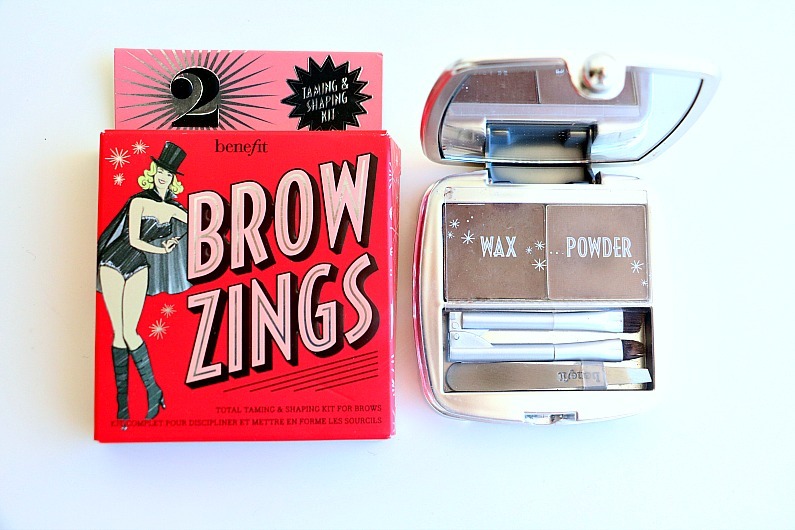 It is thin and sturdy enough to shape, define and fill in brows. The spoolie has custom-blended fibres that help to distribute the product evenly as well as blend it and smooth it for a soft finish. If you have read the text “About me” here on the blog, you could find out that I wanted to take my life-long passion for make-up to another level, so I completed a make-up course at the Academy of Freelance Makeup in London last summer. AOFM is one of the leading make-up schools with education centres in London, Paris, New York, Belfast and Dubai. 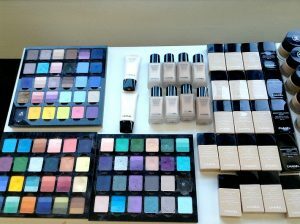 It was created and founded by the make-up artist Jana Ririnui a decade ago. At this time Jana was already an accomplished make-up artist and he also occasionally taught at make-up schools in London. 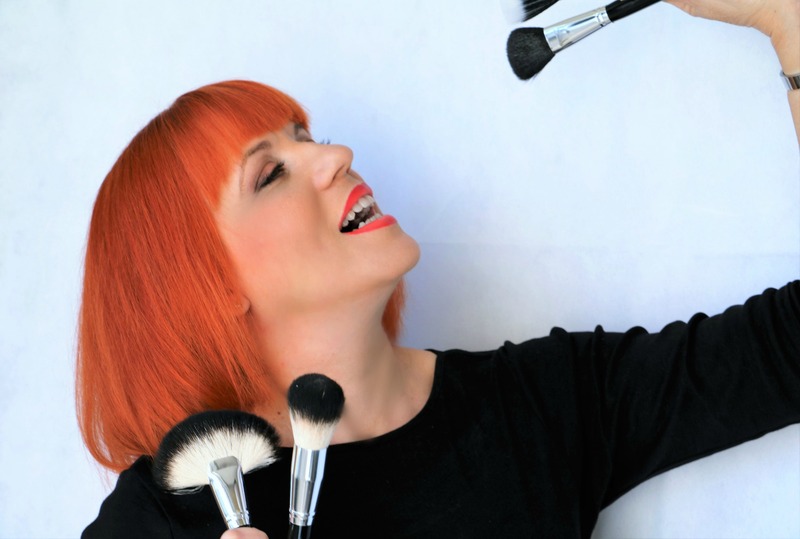 He created the first industry-based make-up school entirely run by the top working freelance make-up artists. Prior to choosing this academy, I had done a thorough research and decided it was the best choice. There are many reasons for this and let me mention some of them. 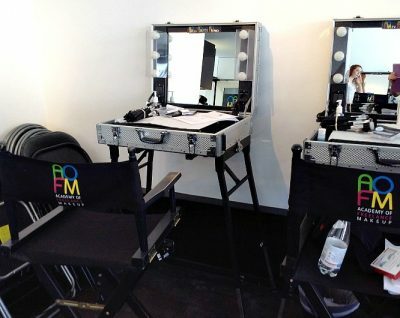 AOFM is one of the world’s most recognized make-up academies. The class sizes are small. (There were 16 students in my class). Their tutors are some of the leading freelance makeup artists. There is a huge team of more than 40 international artists who work with some of the biggest names in the business. 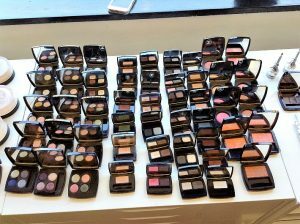 The Academy gives every student the most modern industry tools when training and the opportunity to use full ranges of products from the most prestigious make-up brands. 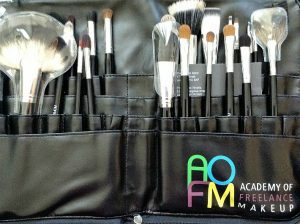 AOFM also offers a wide range of discount programs with leading cosmetic brands for their graduates enabling them to start their careers and build their makeup kits. 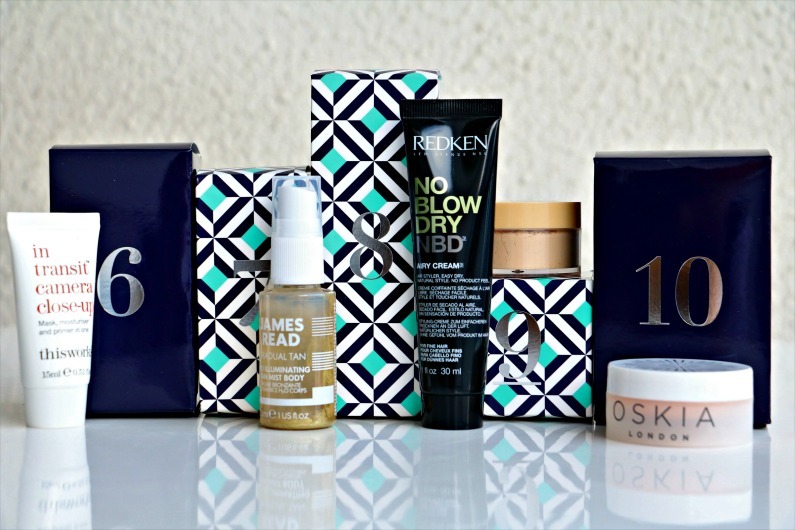 Some of the brands include MAC, Dermalogica, Charlotte Tilbury, NARS, Bobby Brown, Makeup Forever, Benefit, Stila, Inglot, Smash Box, Urban Decay, NYX etc. AOFM is the only UK academy registered with MAC Cosmetics in the UK and USA and as they are a MAC recognized school, this enables the students to obtain their MAC Pro Student discount card. The Academy also offers the students an organized photoshoot with professional photographers, fashion models and stylists in order to build their portfolio which they can present to promote themselves and their work to a potential client. The Academy offers more than 700 working and assisting positions every year. This includes runway shows at Fashion Weeks in London, Paris, New York, Milan, Berlin and Moscow as well as top international events like The Cannes Film Festival, The Global Fashion Awards, Britain and Ireland’s Next Top Model. AOFM graduates will also be given the opportunity to assist make-up artists for editorial shoots in British and Italian Vogue, InStyle Magazine and Marie Claire. AOFM offers free aftercare masterclasses to their graduates. The location of the Academy is not relevant at all for gaining the adequate knowledge and skills, but it is worth mentioning that it is situated in Soho, one of the most vibrant areas in London and it adds to all the pros for this Academy. The story about AOFM would not be complete without mentioning my excellent tutors: Louise Dartford, Barbara Carranza, Valentina Creti, Yin Lee, Barbara Brauenlich and Michelle Webb. I am going to write more about them and their work in some of the future posts. If you are into make-up artistry and you are looking for an exceptional school, then look no further. AOFM is the right choice and I could not recommend it highly enough. 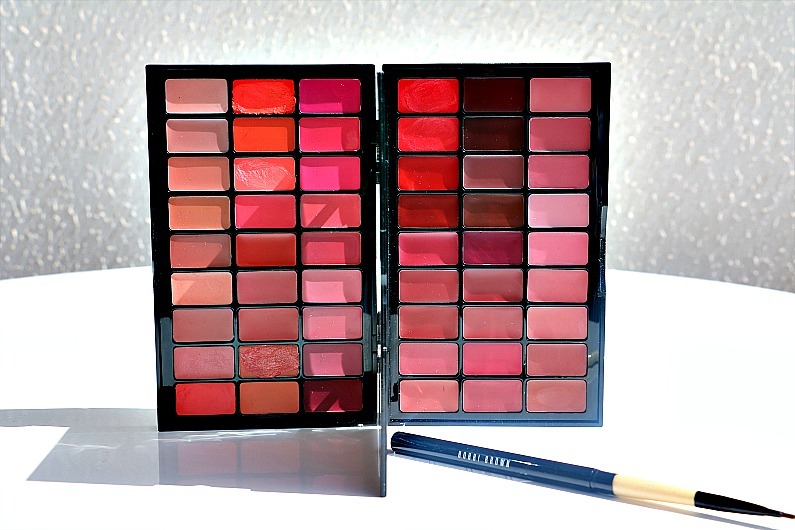 If you are a make-up artist or just a lipstick lover, this palette has everything you need. The colour range is perfect. 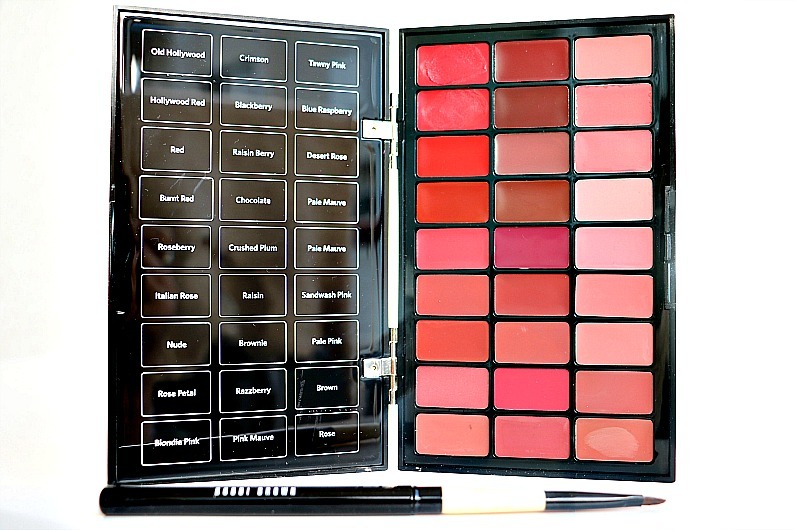 It contains reds, plums, browns, nudes, pinks and corals and it is suitable for any skin tone. 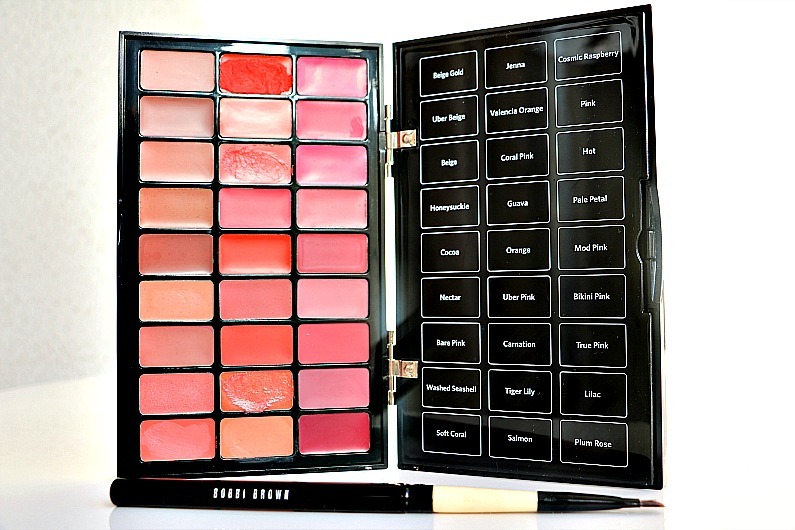 The palette consists of 54 shades including Bobbi’s Top 10 and it comes with a lip brush. 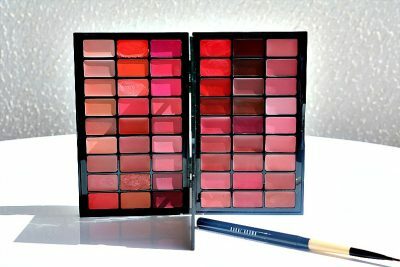 There are 23 lip colour shades, 11 rich colour shades and 20 creamy lip colour shades. You can mix them and create even more versatile shades. The pigmentation is very good and although some lipsticks are more pigmented than the others, they are all creamy, moisturizing and they feel comfortable on the lips. The divider in the middle of the palette is labeled and it keeps the colours organized with the names of each individual shade. The palette is compact and easy to carry and use on the set or on the go. It is an absolute must-have for make-up artists or for those who love make-up. Every now and then I get an occasional breakout and this gel is the only product that works for me. 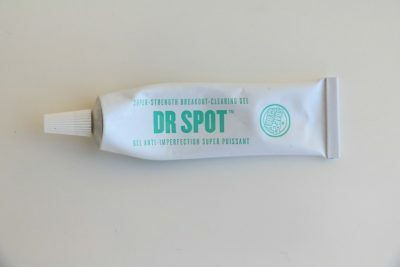 Dr Spot has salicylic and lactic acids which fight spots by gently peeling away pore-clogging dead skin cells and reducing inflammation. It also contains Fomes Officinalis mushroom to tighten pores as well as kaolin microclay to soak up excess sebum. Witch hazel optimizes PH balance on the skin’s surface and vitamins A, C, E and B3 stimulate circulation, brighten dark spots, smooth and exfoliate skin. After just one or two applications on individual spots, they become visibly smaller and less red. It is a clear gel and it feels cool when you apply it. You might also experience some tingling and slight burning. It absorbs well. The spots will not disappear miraculously overnight, but this gel definitely soothes active spots and helps to speed up their disappearance. Dr Spot costs around 9,00EUR and it can be purchased at Boots in UK or online. 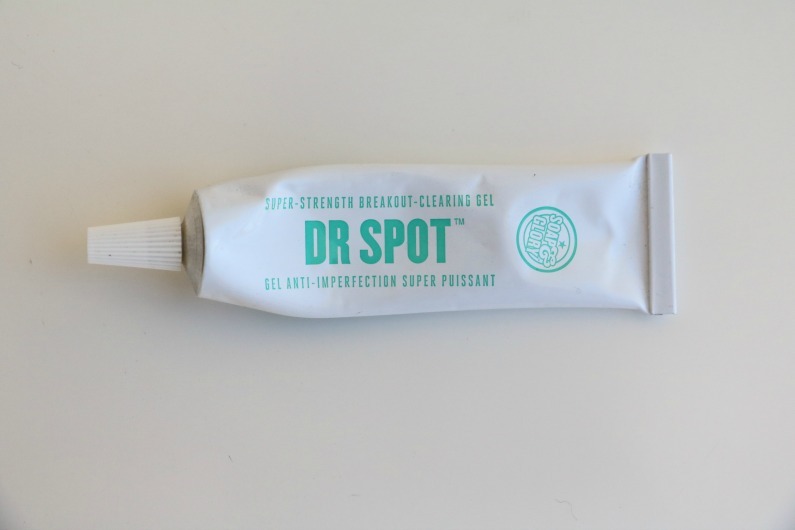 It is a superb product for emergency spot fighting and by far the best spot treatment gel I have come across so far.